oN DuTy! 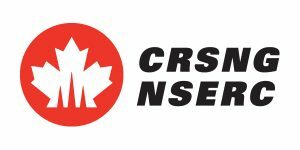 is supported by the Collaborative Research and Training Experience (CREATE) of the National Sciences and Engineering Research Council of Canada (NSERC). The main goal is to train highly qualified students as well as postdoctoral fellows in the field of nondestructive testing (NDT) with a strong involvement with the Canadian industry. Scholarship holders will be trained on their Professional Skills (PS) and Technical Skills (TS) in at least 2 different NDT techniques and will complete at least one internship with the Industrial Partners representing a minimum of 20% of the duration of their training.